Doing some research on glycoalkaloids found in sunspot.....I read this here * Eggplant or aubergine (Solanum melongena) has been examined, and has been shown to contain the exact replica of BEC. This means that a fruit, which is eaten as a vegetable throughout the world, contains BEC. Each eggplant contains 7 to 25 mg of BEC per 100 grams of fruit. Eggplant contain more BEC than Curaderm. I have had some very nasty bloody lesions on my head..Swollen very nasty things..Plus a good bit of skin cancer on my face.. Thank you for this excellent post. A well known cancer doctor in my area is recommending eating lots of vegetables that are rich in anti-cancer nutrients. He mentions that organic is better - if available. In the SkinAnswer link from your post it is written "Glycoalkaloids are produced in many fruits and vegetables as part of their defense against insects and other animals." It seems obvious that if Glycoalkaloids are produced by the plant as defense mechanisn against insects, it is important to actually have insects trying to attcak the plants! If we use insecticides, it must lower the Glycoalkaloids (and other cancer fighting molecules) content since the plants do not have to fight insects anymore. So it would be preferable to use organic eggplant. I am sure there is still Glycoalkaloids in the non-organic variety, but probably much less. Come to think of it, the fact that most of the vegetables on the market are not organic and lacking these cancer fighting compounds may partly explain why cancer is on the rise in general. Nevertheless, eating lots of veggies even if not organic is a plus - that is for sure. But if you apply the eggplant on a cancer spot, wouldn't it be best to use the eggplant with the most Glycoalkaloids? The organic variety, the one that is not perfect from an esthetic point of view because it had to fight insects and other critters, may be the best choice for medicinal purpose. Just a thought. Thank you for this great post. We learn everyday on this forum. It is encouraging to read good news like that. Hi Forrest, was there any eschar or anything like that such as when using the Curaderm? This is good stuff...I was curious if our "eggplant" would be the same as the Australian " devils apple". exciting to hear you are having positive results. Firstly I want to address Vinegar. 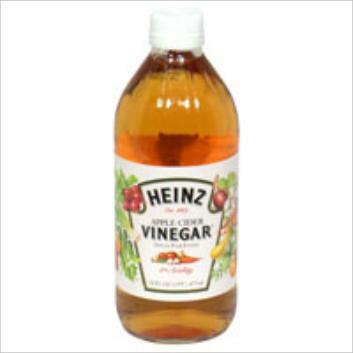 The active ingredient in vinegar is acetic acid. Most vinegar is @ 3 to 5%. I have been using vinegar off and on over the last year as a treatment in itself and along side first curaderm then sunspot. The acid neutralizes the high PH that occurs in our skin via all the bad things we eat like meat etc. When I apply vinegar to my face every potential AK and BCC light up, burn and itch. When Dr. Mohs ( The doctor who invented Mohs surgery) was using Bloodroot to identify "fixate" skin cancer tumors he would first clean the suspect area with acetic acid before he applied the bloodroot paste. For certain I eradicated an AK on the back of my neck that was scabing and bleeding strictly using vinegar. For whatever reason other problem areas did not go away. I was using vinegar every day after my shower but it is stinky and I quit. I have started back up and Sunspot definitely reacts better when I clean the area I am treating first with vinegar. It's odd / coincidental that you mixed it with the eggplant / I was thinking about making a solution of Sunspot and vinegar this morning before I read your post. Forest if you haven't already, start taking pictures and keep us updated. It would be awesome if this is the answer..similar to the broccoli idea .. good luck! as you know I am in a very similar boat as you and it is frustrating up to now. Certainly seem to be holding the ones I have at bay, maybe even shrinking them but just not closing the door completely. fforest, this is great and I hope it keeps going! We would love to lose you as a poster. (just kidding!) Can you summarize the timeline of what you tried in the past few weeks? "It got rid of the melanoma in about 2 weeks. Method: chop up eggplant & place in a glass jar (not plastic) Pour in enough vinegar to cover eggplant, cover with a lid & place in the door of the fridge for 3 days. Every time you go to fridge for something, give the jar a little shake. After 3 days the liquid will turn a gold brown colour, strain the liquid & keep refrigerated in the glass jar. How to use: Can be dabbed on to melanoma several times a day or can soak a cotton ball in the liquid, place on top of melanoma & cover with tape (low allergenic kind) change at least twice a day. Need to do this for at least 2 weeks to kill off the melanoma. It only attacks the bad cells. The doctor said if it was a melanoma,after a few applications it could be quite painful when it goes after the nasties. If it didn't pain, unlikely to be of a menacing nature. (it also works on warts) Do it under a doctors supervision though. It definitely works,I have seen the wart disappear & the resident I referred to had a painful healing for a few days but it cleared up after a couple of weeks." Both this method and fforest's are easy enough to make. Notice this method used white vinegar. fforest, what kind of vinegar did you use? Man I hope this works! Just to update you on my sunspot ES. It appears now that I am at an impasse. Certainly the sunspot does some good but the BCC on my forhead just won't go away. I am dealing with an area over my left eye @ 1" diameter that I had treated with blood root before and gone through a lot of pain and misery. The bloodroot did get it pretty good but a year later things started coming back. Now I first tried Curaderm which like sunspot got a reaction but jut can't take it out. There are several small lesions within the area. One will appear to heal and another one pops up elsewhere within the 1" area. There are usually 3 or 4 of these small sores going on at any one time I have been walking around with 3m micropore tape on my forehead for 6 months now... ugh! I shower every day and treat after the shower. I was cleaning all treated areas with vinegar..BTW apple or regular vinegar really shouldn't matter... what is working is the acetic acid which is in both and varies from brand to brand. You can also buy acetic acid in stronger solutions and guess what..it smells like vinegar. Anyway I have started a new cleaning treatment which is seeming to irritate or do something that seems positive.. In the shower I first wash my hair and face with Trader Joes "Refresh" Body soap. I leave the soap soaking in my hair and face. I take a quarter sheet of a paper towel and wet it. I then reach out of the shower and pour a teaspoon or so of baking soda on the towel and then rub it around in the towel evenly. I then scrub my face ( kind of a micro dermabrasion) and any bcc's on my scalp with the towel and let the concoction sit for a few minutes... definitely starts tingling. I then rinse it all off and dry off. I immediately apply the sunspot es to any area that has BCC's or AK's. The ones on my forehead that are actual sores get covered with the 3m micropore tape as I have described in the past with some trader joes refresh body lotion w / vitamin C to make the solution last longer and the tape come off easier. I then rub / massage the cream into the areas that are AK and that's that for the day. I'm sure I'm holding things at bay , maybe making a little progress but unfortunately I don't see this knocking it out completely. I won't bother.. keep us posted. First off for people who do not know me I have tried many many of the treatments for skin cancer to many to list..The only ones I have not tried are. Efudex-which I never want to try after seeing pictures of this treatment. Radiation-Which I never want to try..
Is the best combination for treating skin cancer..
With this combination you can treat skin cancer with minimal pain and minimal cost. Dmso-??? many prices under 10 dollars.. The orange oil eggplant/vinegar is a absolutely deadly combination against skin cancer. Cancer builds up resistance fast to any kind of treatment.. I have been treating all of these problem spots for about a month or so now and they are about 95% healed.. If any one tries this combination I would recommend treating your problem spots and areas for 1 or 2 days with orange oil then 1 or 2 days with eggplant vinegar and maybe taking a rest day or 2 every now or then..Or what ever combination works for you..On the days you treat your problems really try for 2 treatments in one day it works better.The treatments can be back to back.. The 2nd way I have used the eggplant/vinegar is to strain the vinegar from the pulp after blending and dip a cotton ball in the vinegar juice and put the Cotton ball on the problem spot use tape this is less messy ..If you wanted to get it really strong you could use the same vinegar from a few different eggplants in the blender,blend then strain,blend then strain using the same vinegar...and or put a little Dmso in the mix..
One thing that did happen on my face is I got a number of hard zit like spots at one point(maybe it was from the cancer spots dieing)so I took them off and had a scab for a few days..
Every one of my bad spots I wrote about is now 90 to 95 to 100% healed depending on the spot..My face looks great..
Post note...Just to add a bit more here..First use apple cider vinegar,White vinegar just does not seem to work very good..
2nd Putting the eggplant mix/pulp on the site seems to work best..
7th You can try only one thing in this treatment plan if you want and thats ok but every thing is here beacuse it works good together. This is fantastic news fforest! I'm really happy for you! I think you mentioned elsewhere that you used Citrisolve for the orange oil, regular apple cider vinegar, ordinary eggplants, and 3% hydrogen peroxide. Everything except the SunSpot ES gel by Lane Labs and DMSO can be found in most supermarkets for about $20 total. I'm wondering if you feel that SunSpot and DMSO are essential to get started, or if you can add them if need be later? I wonder how eggplant soaked in DMSO instead of vinager would work? Then put the solution of DMSO on the site. I'm going to try it and will let you all know. I've tried so many things now, its going to be hard to tell what worked in the end if I do indeed get rid of it. I tried using the solution described above by fforest. I minced the eggplant with a garlic mincer until I had a small olive jar about half full. Then I poured straight (no water added) 5% organic vinegar to just cover all the eggplant "mush". The second day i put the juice on the BCC site every 2 hours or so. It would burn a bit, but then calm down. By the end of the first day, the BCC looked worse. More swollen, and now bleeding again (hadn't bled for 2 weeks). I was however thinking this is good as it seemed different than before using a pancreatin solution. Can't really describe the difference other than the swelling seemed more exagerated. I believe my BCC is very deep, so it was good in that it was getting to the bad cells for once. I was also adding a swab of DMSO solution just after the eggplant solution. It would definately burn worse just after the DMSO application. 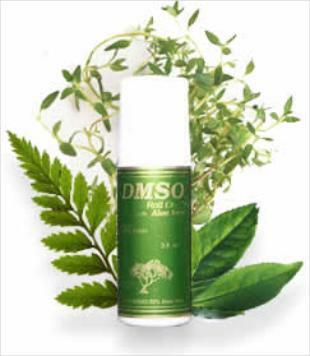 The DMSO was a 80% DMSO/H20 with pancreatin, ground apricot seeds, coral calcium, and ginger added. Anyway, after 1 day of this, i got home and started putting it on every 10 minutes for about 3 times. Then I decided to add some orange oil. Then I held a cotton swab of H202 on it until it turned white in the middle. Back to adding DMSO, eggplant, orange oil....over and over again. The next thing I knew, it lit up like a christmas tree! I've never seen this before, but the shape and location of the cancer cells was VERY obvious now. 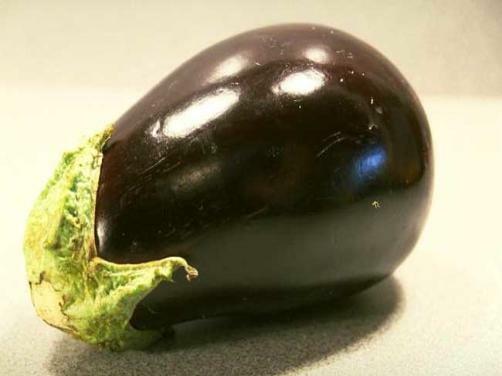 It would turn pink, and then i'd add more of the eggplant solution and bam...there was the oddball shape. When I say it lit up, the cancer cells turned a bright white compared to the skin around it. And it was a BIG contrast. I took pictures and will post them soon. I've put MUCH orange oil and all the other stuff (much H202, pancreatin, DMSO) on it before and it never lit up. There is something in the eggplant mixture causing it. Maybe the eggplant, maybe the vinegar, i dont know. So i'm thinking this is the first time I really got some solution TO the bad cells and actually affected them. Or maybe this combination was just enough to affect the cells. I was feeling like I was at a stalemate before yesterday. It wasn't getting better, wasn't getting worse. Good or bad...only time will tell if the fact its lighting up white means anything. But this is definately different. Will keep you all posted. Thanks Mark, this is really interesting about combining several ingredients and also about the cancer cells turning white! Looking forward to the pictures. Let us know if you have any trouble posting them. Dan I want to make a few changes to my first post why wont the forum let me make a change? Thanks fforest, there was a bug in the forum software but I think it is now fixed. Let me know if it still does not work. Anyone should be able to edit their own posts. I feel terrible if this has not been the case. Mark please see my post note above..
fforest - thanks for the update post! I'll try it as well. I've actually been putting a Pancreatin solution on after placing the eggplant mixture right on the spot. 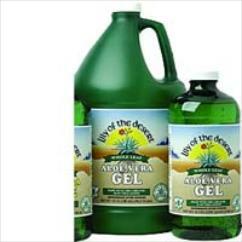 The solution i've made has the ammonia, and the aloe vera in it. And it seems to be working. I spend a good 45 minutes in the evening really working the eggplant, orange oil, DMSO and H202 into the site until the cancer cells (or at least what appears to be) turn nice and white - a distict border. It does burn, but not too bad. During the day i just dab it on about once every 2 hours. The area that seems to be cancerous is starting to feel like a lump of dead skin, though i can't be too sure just yet. The center pit still seems pretty raw. Once it is all dry, the area surrounding the lesion outside the cancerous area is also turning a darker brown now, almost like its bruised. About the size of a nickel or quarter. This is all new, as without the eggplant solution nothing was really happening. All in all, it seems to be working dispite the fact it looks worse. I'm supposed to have surgery on Moday....but I plan to cancel. I'll probably re-schedule as a backup plan, but I think I need to give this more time. The hardest part is the skeptics around you that SEE it getting worse looking. Most of the skeptics are the ones that think soda's, candy, and the Atkins diet (limited fruits and veggies) are heathy! For 3-4 weeks now i've been eating almost nothing but stuff with no nutrition label (i.e. fruits, veggies, water), and I must say that i have never felt better. I'm still convinced diet is a huge part of this. For those that have had success, have you notice that the lesion heals from the outer perimiter in, inside out, or just all evenly at the same time? fforest, it looks like in your latest edit that you now combine orange oil and ammonia. I assume you apply one and then the other rather than mix them beforehand, right? 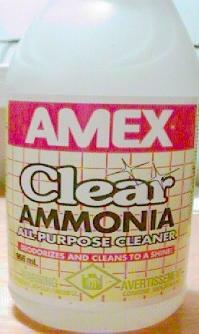 Also, everyone should realize that if ammonia gets into the eyes it can cause permanent damage. Also, ammonia comes in various strengths. Strong ammonia can cause severe skin burns. Household ammonia (3%) is not likely to cause skin burns, however. Always have rinsing water available for an eye wash if using ammonia topically. 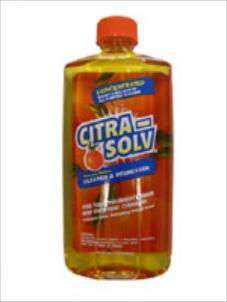 Here is an MSDS for Citrisolve orange oil. http://www.windtrax.com/images/MSDS/IJ-100_MSDS.pdf Orange oil should also be kept out of the eyes. It is interesting that its pH is 9.0 (somewhat alkaline). Combining orange oil with household ammonia (pH=11-12) makes it more alkaline. I think ammonia possibly promotes cancer cell apoptosis (programmed cell death, a good thing) based on recent studies of caffeine and exercise leading to less skin cancer. Exercise leads to higher ammonia levels in the body and caffeine inhibits its breakdown. Just for completeness, an MSDS for vinegar is at http://www.gfs.com/content_us/msds/files/107239.pdf 10% acetic acid vinegar has a pH of 2.2 (very acidic), more typical 5% apple cider vinegar has a pH of 2.9 . I wonder if adding ammonia to a vinegar (acid)-eggplant solution is a good idea. I would keep the orange oil-ammonia and vinegar-eggplant treatments separate and apply them on different days. But who knows, maybe a pH shock is more detrimental to cancer cells than normal cells. Keep in mind that if a compound has a MSDS (Material Safety Data Sheet) it does not imply that it is unsafe. MSDS's are available for almost any chemical and are simply a safe use and handling guide. MSDS sheets often contain valuable information not directly related to safety. My two cents: while I did use the kitchen sink approach (orange oil, aloe, coconut oil, HP-a little, pancreatin-maybe 3x, Colloidal Silver-had some already for eye problem, Cymillium-took so long to arrive used maybe 2 days, eggplant/vinegar) I feel the eggplant/vinegar mixture was the one that worked. I used apple cider vinegar as it is a wonder healer for other holistic uses. I believe it is totally gone now. This forum has been invaluable. Thanks to all! La T, thanks for the great news! 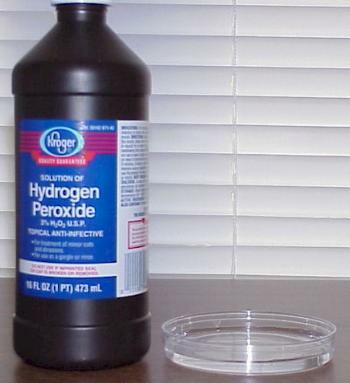 I recommend your blog to anyone considering trying this skin cancer home remedy. Anyone else, we are always looking for more feedback even if it happens to be the same as comments already posted. The more feedback, the better information for others to consider. Thanks! I hope I am doing this right. I have never written on a blog before. But I wanted to thank everyone and to tell everyone who is considering trying the eggplant mixture, TRY IT !!!! I am a fair skinned redhead who has lived in the South all my life, and I have had skin problems about that long. I have had MOHs on a BCC on my nose, suffered through a complete Effudex tx on my face, hands and arms, and have tried Cansema Black Salve. The Effudex made me look and feel just like the gentleman who posted a photojournal link somewhere on this forum. It does a good job, but it's a lengthy process, painful, and leaves you looking like a "mess" for a long period of time (you do NOT want to be seen in public). And the worse part is....a lot of the places have returned, although they may be new spots, I don't know. I have tried spot treating with Effudex, and that doesn't work well. I thought the black salve was an answer to my prayers when I found it a few years ago. The problem with it was that it tends to be very selective about the places it would react to, and when it did react, it would quite often leave a scar. The front of my chest is peppered with small white scars where I have treated numerous places. But at the time, I felt the trade-off was worth it. Then I found this forum. I was intrigued by all the items and combination of things that everyone has tried, but the eggplant- vinegar mixture really caught my attention. With an eggplant and just enough vinegar to keep the blender blades from sticking, I made a mixture that looked a lot like homemade applesauce. Not knowing what the stuff would do, I decided to first try in on the back of my hands. The backs of my hands were the worse looking with flaking AK's and a few raised lumps which are probably BCC's. My hands have also been the most resistant to treatment with both the Effudex and the Cansema, so I figured if this stuff worked on my hands, it should work anywhere. What I did was spread on enough of the mixture to cover the back of each hand at night before I went to bed and just left it on all night. I tend to sleep on my back so I placed a towel under each hand so it wouldn't make such a mess. Obviously if you roll around in your sleep or have a bed partner, this wouldn't work so well for you. In the morning I find that the mixture has dried and you can peel it off like a facial mask. I am sure that the physical peeling off of the eggplant helps also to remove dead skin cells. I am happy to say that I am EXTREMELY pleased with the results. I have been doing this nightly for exactly 3 weeks now and my hands have never looked better. I was hoping the process would be faster and if I were applying the "sauce" throughout the day, it probably would be. But from day 1 my skin looked better and almost daily, the scaly areas are getting smaller. I just hope that it doesn't reach a point where there is no further improvement. Until then I will continue to use the eggplant sauce, and as soon as my hands have cleared, I am going to try it on my face. The challenge here will be to keep the stuff from running into the eyes. That would probably not feel too good. For anyone who is considering doing this, PLEASE DO. What have you got to lose? And for those who have contributed your time to this forum to help others like me......THANK YOU !!!!!!!! Don, perhaps a "sleep mask" would keep the mixture from running into your eyes. I'm sure you could find them on the Internet. I bought one eons ago from TravelSmith when I was flying between Atlanta & London. It does fit snugly, but doesn't bind and it is made of soft material so it won't leave marks on your face. I just don't know if they are still available. So glad this is working for you. Fforest, A number of days have passed now since you have written about your eggplant treatment. Did it ever clear up the bcc's? If not all of them, did any of them go away completely? Please keep us posted as to your ongoing treatment. It is really exciting to think we may be on to an inexpensive treatment protocol that works 100% of the time. I've mentioned it in the past and I reiterate that we are lay people that are not very scientific in our approach. The "everything but the kitchen sink" approach is what seems to be getting the best results by most of us here. I believe in my heart that the eggplant vinegar combo is the nuclear bomb. Being as I have plenty to test on I am going to try strictly the eggplant/ vinegar combo on one very resistant area on my forehead. I will document and photograph and report back with results. thank you for this wonderful site, i check it almost everyday for anything new. i went to wild oats today to look for organic eggplant with no luck. but they did have baby eggplant which had me wondering if baby eggplant would be better or worse than regular eggplant. i also am goin down to the garden center tommorrow to see if i can find an eggplant seedling, as i would like to grow my own eggplant with lots of good rich organic fertalizers and soil. any ideas out there as to which varieties might be best? Welcome rx7eddie! I would expect a distressed eggplant to have more of the active ingredients (glykoalkaloids) because they are believed to be used as a defense mechanism for fungus and possibly insects. I would also like to point out that the glycoalkaloids in the eggplant and vinegar home remedy are apparently the same as the active ingredients in Curaderm, and in fact Curaderm is now derived from eggplants. The good news is that Curaderm claims to be 100% effective against basal and squamous cell carcinomas as well as AKs. Curaderm is also nearly ideal in terms of safety and cosmetic result. There is a lot of supporting scientific work in open literature performed by Bill Cham and colleagues as part of the Curaderm product research and development. See http://www.curaderm.net/publications/publications.aspx Based on the science, I think it is inexcusable that Curaderm is not considered a treatment option by most dermatologists. There is a 1996 US patent on glykoalkaloids at http://www.google.com/patents?vid=USPAT5958770 by Bill Elliot Cham and Brian Daunter. (download the pdf) The patent is difficult to read like most patents but contains some very interesting information. For example, they evidently use DMSO as a carrier. Also, various sugars such as lactose (milk sugar) can deactivate the BEC. They also talk about the cellular mechanisms that the glycoalkaloids use to kill cancer cells. It looks like this BEC stuff can also be used as a contraceptive. Maybe you are aware that cancer cells act like trophoblasts cells in pregnancy, something John Beard noticed a hundred years ago. I have been using curaderm on a bcc on my nose since 8/29. I will let you know how it works out. I think i see improvment but it is still early. Does anyone know FOR CERTAIN if the small very-white spots which appear are cancer cells? Thanks to all for taking the time to write of your efforts. I find it very helpful! interesting stuff here. im still tryin to figure out if eating nightshade veggies (eggplant, tomato, potatoes) to fight this from the inside is worth it. some websites warn of eating too many nightshades in fear of neurological damage, and arthritis problems. Being as I have spent over $400 on Curaderm amd used it on BCC's in several areas I can, with experience unfortunately say their claim is false. Yes it did cause a reaction but I could never completely kill the tumors. In a 1 inch area one part would heal up, which is supposed to mean it is cleared and another one in that 1 inch area would pop up. That one would heal out and where the last one healed it would reopen. A constant bandage..ugh! I called, they said I needed to reapply more often. I did and still the same never ending circle. I am having better luck using sunspot es mixed with some vitamin e cream and then applying in the same way as curaderm. has anyone tried just the eggplant/apple cider vinegar mix and did you get a good or bad result? Maybe I missed it in all the posts, but I didn't catch whether or not you use the skin of the eggplant in the mix. Also, can someone tell me if the orange oil has a burning sensation. If so, how long after the application does it burn? Will applying aloe help aleviate the burning? I will be trying this on my cat's skin cancer....and needless to say....he won't be able to tell me how he's feeling! Would the raw apple cider vinegar work better in the eggplant mix? I know I'm asking lots of questions, but since I'll have to put one of those nasty cone collars on my cat, I want to try the most painfree and expeditious remedies possible. I started using just th vinegar eggplant sauce this week on my face. Many AK's a few BCC's that I haven't been able to wipe out completely. I wanted to give it solely a chance and see what it does without orange oil, or cymillium or anything else just the eggplant sauce. I purried it in my blender and I can rub it on and it pretty much just absorbs in on the AK areas. I put it on thicker on the BCC's and cover them with the 3m tape.. I'll report back in a few weeks on this procedure. Things are happening though the skin looks pretty good but that could just be the vinegar. Not sure on the shelf life but agree it is probably a long time with the vinegar. As far as how long to apply before the cancer is killed, this is all new but I would assume until it isn't red anymore. I am treating several ak's and a couple Bcc's on my face right now. In the original post http://www.earthclinic.com/CURES/melanoma.html the recipe is using just the resulting vinegar juice. I am using the eggplant puree that was made by soaking in vinegar for several days and then pureed in a blender. ok I'm experimenting with the eggplant vinegar so I'll post my results here. I took an organic eggplant, and cut it up with the skin on, then I smashed in into a blender so the blender was full of eggplant and added only enough apple cider vinegar to get it to mix(about six oz vinegar and a large eggplant). The result was a thick brown paste which I am keeping in the refrigerator. When I want to use some, I put a little in a cup and let it sit out to evaporate even more so it's like a thick goopy paste. I figured that since the active ingredient is supposed to dissolve in vinegar, if you let some of the moisture evaporate the mixture will be more concentrated. My first report after only a couple days is that I'm surprised how refreshing it is. It doesn't burn or sting and it actually really feels good. I'm expanding my use to more areas because I like the way it feels so much. I just put it on top of an area I'm almost done treating with efudex and it stung for a minute and then it soothed the itchy pain completely. Even if it ends up not being a cancer cure all, it seems to reduce inflammation and pain for me at least. I applied some of the paste to a raised scaly area (like an AK or something) about 1cm that has been on my lower leg for a while and was on my list to get looked at...after leaving the paste on for 24 hours, the paste dried up. I just peeled off the dried up paste and was amazed that the spot is now barely noticeable. It is DEFINITELY far less noticable by sight or especially by feel. At this rate it will be history in a couple of days but I won't jump to conclusions yet. I reapplied paste and will peel this off in another 24 hours. I'll report back in this thread with positive or negative results...but it's passed my first several tests...it's cheap, easy and it doesn't hurt and it works not by making it get worse (like efudex) but by making it get better straight away. Time will tell but thanks for the idea ! I've been using the eggplant/vinegar for about a week now. A couple of very small (1-2mm) lesions (I would guess ak or scc in situ) have completely disappeared with the eggplant mix as the only treatment. I can't say for sure if they would have disappeared on their own or not because my history is that some small lesions clear themselves, or at least appear to before they come back again. I am using it on other larger areas and although subjectively I'd say they look better, they have not cleared. I used it on my entire back a few times and it felt good..no burning or itching and no after effects. My back has a lot of atypical moles. caffeine and chaga and mesima mushroom, which are both known to fight cancer. Supposedly in the old days chaga cured some king of lip cancer. I bought some organic orange oil at Whole Foods and used it on two areas yesterday for a rest day with the eggplant. There was no significant burning or stinging but the Orange oil is a very lightweight oil and seemed to penetrate deep....plus this one I got smells great...like you rubbed an orange all over you. Today when I applied my mix it stung which is a first. so, this was either due to the orange oil rest day yesterday, or due to the fact that the mix I'm using today is a week old and has been at room temperature for 36 hours or so. It definitely seemed to penetrate more and sting more. Whether that's good or bad, I can't say. I know none of this is very scientific, but I guess maybe a consensus can evolve if everyone trying it posts. Next week I go to see the derm so we'll see what he wants to slash and burn. I have a residual thing on my ear from a spot biopsied as "pre-cancer" and he froze it after the biopsy but it doesn't look like he cured it. I have been using the eggplant on that and so far no change to it's appearance. If he doesn't want to do anything on that I'm going to give Sunspot ES a try there. I have to say I am of the same consensus. As mentioned I decided to try just eggplant and vinegar to try and identify if this alone will eradicate ak's and bcc's. Same as SoFl the many AK's on my face seem to be shrinking getting better. I am still leary as I was using strictly vinegar several months ago and it too semi-cleared them up ..however this is different. They really do seem to be "melting" as it is described in one story about Dr. Cham's Curaderm. On another note I have one of the nastiest BCC's I have ever had on the top of my head. @ 1" diameter and @ 1/4' tall..yuck! It has been there for a few years and I have tried a lot of things other than bloodroot on it to no avail including curaderm. To Curaderms defense I would not shave the area and cover it with a bandage. I just applied Curaderm everyday to the lesion. IT would irritate it butr couldn't knock it out. enter eggplant vinegar... wow and ow! Originally I started with Sunspot mixed with vitamin e cream. It definitely started a reaction. Once I finnaly made my concoction of eggplant vinegar puree "EV" ad started applying it things have been getting painfully better. This thing is definitely shrinking and it is basically an open sore. I have made a special blend of EV with the puree, vitamin e oil ( thick stuff) and a small amount of dmso to carry the equivelent of BEC5 ( the active ingredient in eggplant named and patented by Dr. Cham to the lesion. The thing is ugly but it appears to be getting flatter and smaller. I will start making a photo journal of this starting Tomorrow. I am hoping we are finally there. I'll keep posting weekly as often as I can with updates. I am starting to believe from experimentation that the mix gets more potent after time. The strongest action I've felt yet (testing on both new and previously treated spots) is with a week old mix (referigerated) that has now been setting out at room temperature for three days (covered). So maybe you or someone else can conduct your own experiments along those lines. I think it's somehow a matter of getting the active ingredient out of the eggplant and in the active form. I've also decided to try next a banged up nasty looking organic eggplant on the idea that it may have had a rougher eggplant life and thus contain more of the active ingredient. I am also coming to believe that spiking the mix with powdered caffeine enhances it's action. I'm doing some tests on that idea too. Well today I am feeling like maybe just the Eggplant vinegar "EV" mixture alone is not going to pull this off. I'm going to stick with just EV and DMSO for a few more days but might start adding orange oil to it if it continues to look like it does now. The combo may be the way ..It would be nice to know that one unique ingredient is the magic bullet but maybe that is just not the case. Though it is less than 1/4 of a percent in the ingredient citri-solv does contain Butylated Hydroxyanisole which is a carcinogen. Wonder if there is orange oil out there that is just D-limonene?